Our innovative CHECKPOINT® process for monitoring critical control point data during manufacturing allows a very high level of quality and manufacturing control. 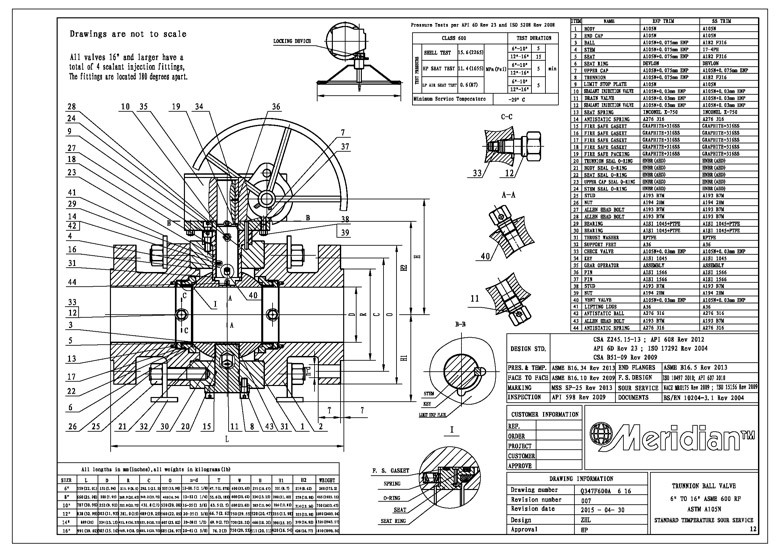 Meridian™ provides an industry leading warranty of 48 months from date of shipment or 24 months from the date of start-up (whichever is sooner) for all Meridian™ brand API 6D check valves, trunnion ball valves, and floating ball valves. 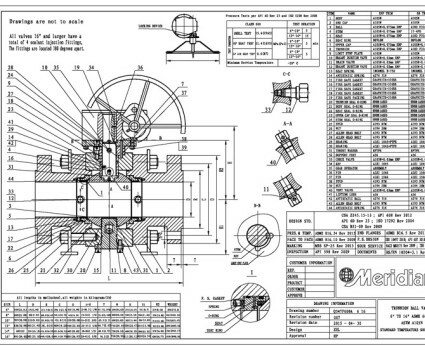 Meridian™ 3 piece forged trunnion ball valves and 2 piece cast floating ball valves are SIL rated. Certification available upon request. Envelope dimensional data in both imperial and metric. 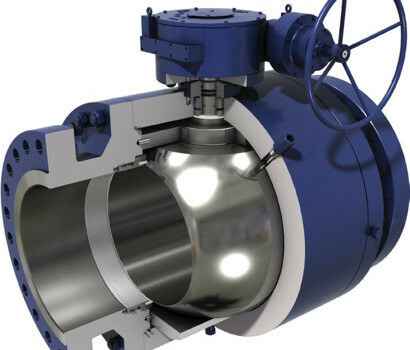 Meridian™ has improved the standard ball valve trim in our Floating and Trunnion Ball Valves by upgrading the normal Electroless Nickel-Phosphorus plating to a 3 mil High phosphorus EN Plating. The phosphorus content exceeds 10%. High phosphorus EN plating is less porous which increases corrosion protection and provides enhanced wear resistance. High phosphorus EN plating has the highest deposit passivity rating meaning that it is less reactive with the process fluids. This is known as corrosion resistance. This allows high phosphorus platings to be used in pH conditions as low as 4. Standard ENP should only be used for pH above 5. This difference is very important in the energy industry where process conditions are often acidic. The corrosion performance of EN plating is proportional to the deposit thickness. Meridian’s 3 mil plating thickness is an excellent barrier protecting the substrate material (commonly A105N or A350 LF2). A thinner 1 mil ENP should be limited to valves in sweet service and a relatively neutral pH process. Meridian’s high phosphorus EN plating has a Vickers hardness of 480 – 500, 316 stainless steel is very soft and has no stated ASTM hardness level. This extreme hardness helps an EN plated ball resist scratches that quickly damage the seat material and compromise the valve seal. EN plating is allowed by NACE MR-0175 / ISO 15156 and is suitable for higher temperatures than 316 Stainless Steel. 316 Stainless Steel is limited to a maximum of 140°F (60°C) due to dangerous interactions with chlorides above these temperatures. Electroless Nickel plating leaves a surface coating of approximately 90% pure nickel. Nickel is a noble metal that provides the corrosion resistant performance required in difficult services. 316 Stainless Steel also relies on nickel for corrosion resistance but is limited to 10 – 14% nickel by weight. 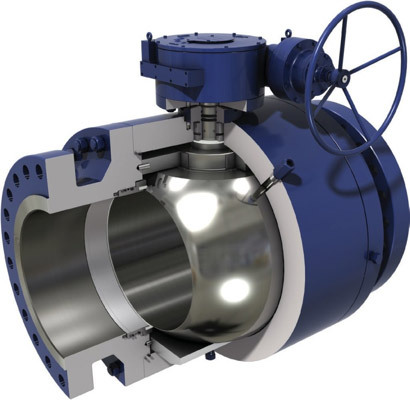 Typical floating ball valves with jam seats seal well either under high pressure or low pressure conditions. If this valve is subject to both high and low pressure during service, its chances of premature failure are very likely. Jam seats cannot accommodate the stress of high pressure sealing and will deform permanently. Meridian™ uses a flexible lip and heel design to ensure seats flex to accommodate high pressures without deforming and can then provide bubble tight seal at low pressure as well. Meridian™ API 6D floating ball valves ALL have high pressure hydrostatic seat test and a low pressure pneumatic seat test performed. Meridian™ API 6D trunnion mounted ball valves are also all tested with high pressure hydrostatic and low pressure pneumatic seat tests.